The Social Security Administration (SSA) periodically reviews an applicant’s income, resources, and living arrangements to ensure he or she continues to meet the non-medical requirements related to eligibility for benefits and to ensure that he or she is receiving the correct payment amount. This periodic review is referred to as a redetermination. If a recipient is married or a disabled child under age 18 living with his or her parent(s), the SSA also reviews the income, resources, and living arrangements of a recipient’s spouse or parent(s). See our blog about deemed or imputed income. Eligibility and benefit amounts of most recipients are redetermined every one to six years. If a beneficiary reports a change that affects eligibility or payment, such as marriage, the SSA may also review income, resources, and living arrangements at this time. For telephone and in-person interviews, a recipient typically receives a letter informing him or her that the SSA will call on a certain date and time, or a request to appear at the local Social Security office for a redetermination. The SSA staff will collect information and complete any applicable forms during the interview. If a recipient has a representative payee, the SSA will send the appointment letter to the representative payee. If a redetermination is conducted by mail, the SSA sends a redetermination form for the beneficiary to complete, sign and return. If the beneficiary has a representative payee, he or she must complete and sign the redetermination form on the recipient’s behalf. inform the SSA that the appointment may not be kept or report that he or she is experiencing problems completing the form. have benefits overpaid or underpaid. 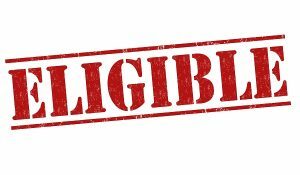 If SSI eligibility is lost, a beneficiary may also lose Medicaid eligibility based on getting SSI benefits. receipts and bills indicating monthly expenses. An experienced disability attorney can help claimants properly file their claim for benefits. Contact the Sullivan Law Office today by calling 888-587-0228 or visiting us online! We offer free consultations, so you have absolutely nothing to lose! We look forward to hearing from you.